Are you worried about your website, youtube or blog and thinking how to increase visitor? Are you thinking to spread your business worldwide? Then, don't worry. I'm here to help you to make your business successful. I'm an expert social media marketer and working from 2015 in global marketplace. I will share your business over 10 millions of targeted traffic through social media. Now a days , social media marketing is the best policy to increase visitors. So why are you waiting for? Just place a order and see the magic. 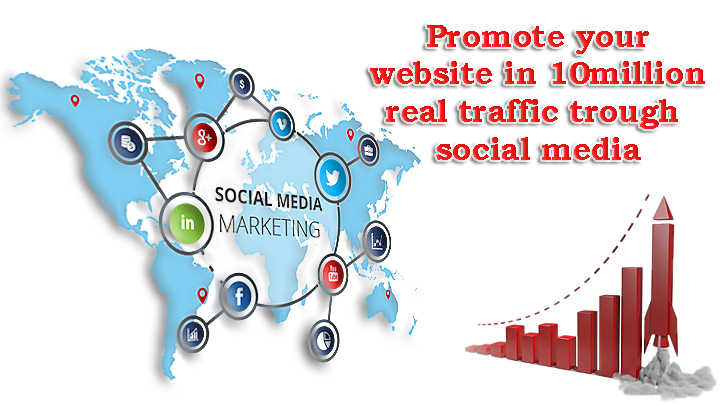 Promote your website in 10 million real traffic is ranked 5 out of 5. Based on 1 user reviews.